Draft minutes are subject to approval at the next Board meeting. ​at 7 p.m., unless otherwise announced. 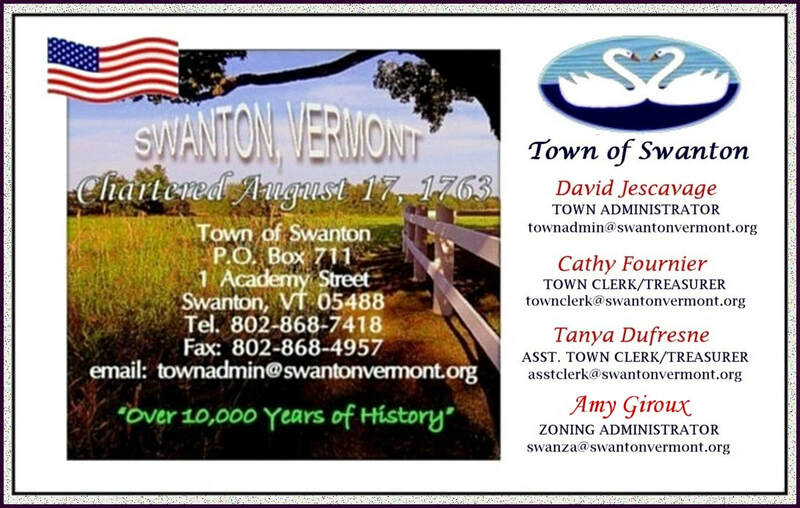 The Swanton Selectboard and the Swanton Village Trustees meet as needed. 7 p.m., unless otherwise announced. Meets on the 3rd Wednesday of every month at 7 p.m., unless otherwise announced.